November is Pancreas Disease Awareness Month! 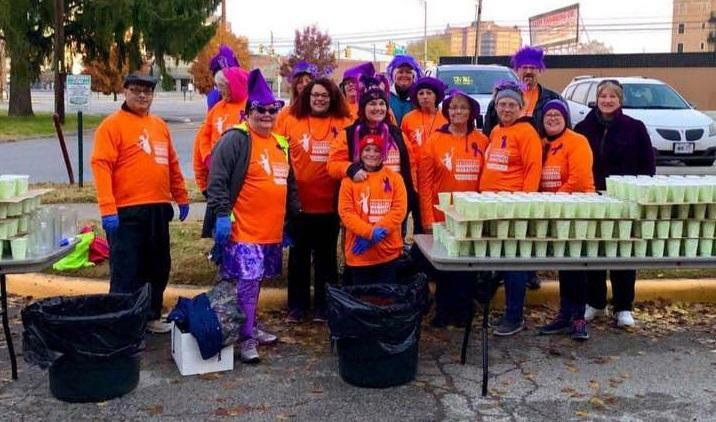 (Above) The NPF Indiana Chapter water station volunteers at the CNO Indianapolis Marathon on November 3rd. 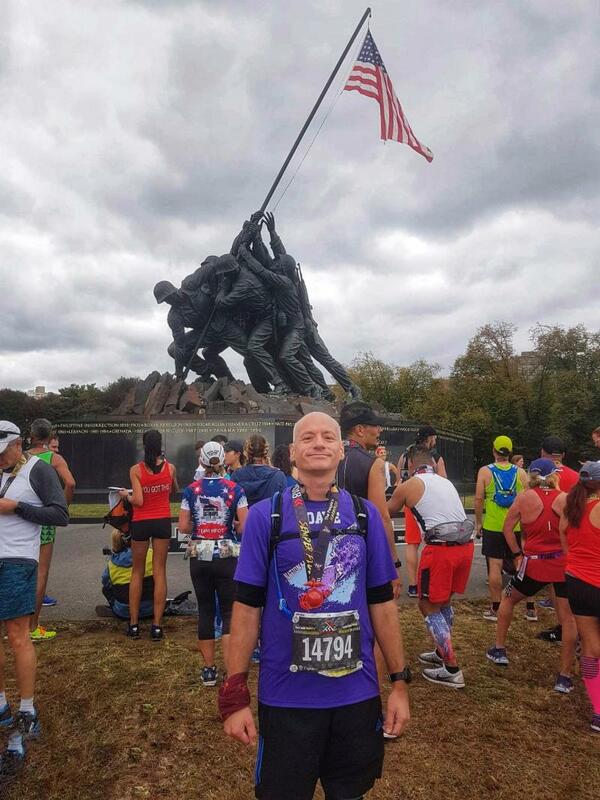 (Below) Marine Corps Marathon/10K Team Pancreas runners before the start of the race on October 28th. 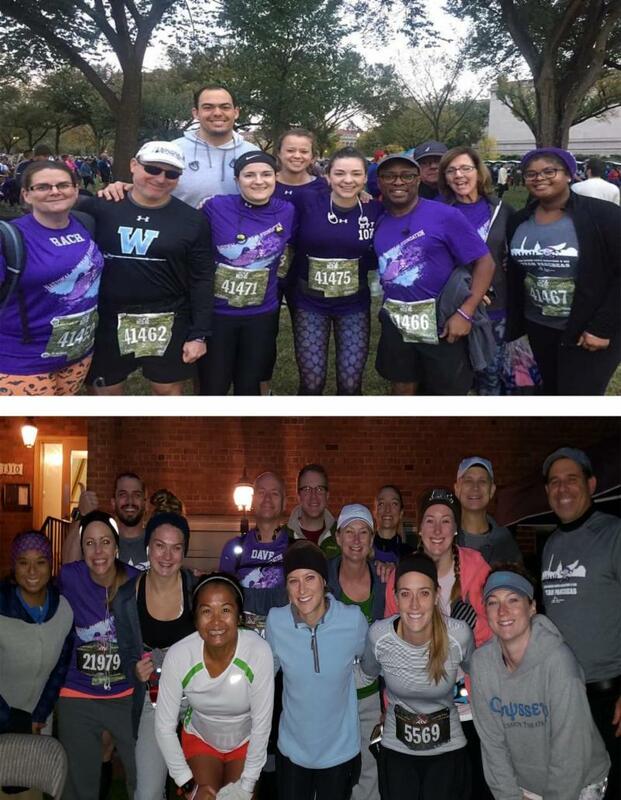 Team Pancreas (44 runners) hailed from 16 states, the District of Columbia, and the U.K. raised more than $36K for the NPF. Shopping for the holidays? 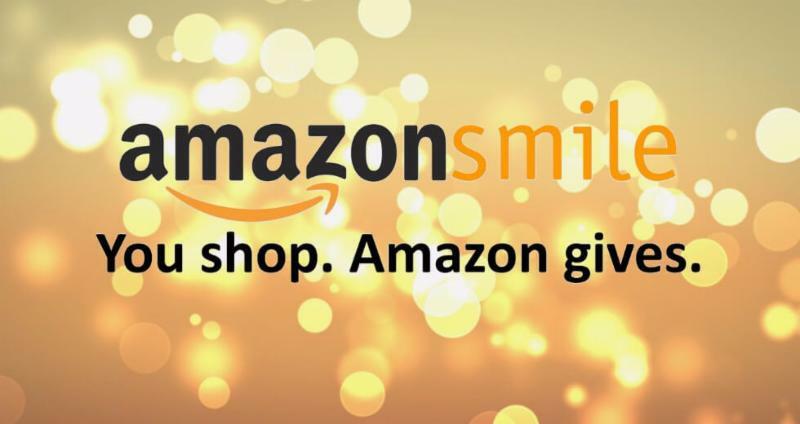 Shop with AmazonSmile and give back to the NPF! Amazon donates 0.5% of the price of your eligible AmazonSmile purchases to the charitable organization of your choice. Head to smile.amazon.com to start shopping!
" I had it all, extremely fortunate to have a successful career, an amazing and loving family, nice house and car, fit and healthy and a wonderful crazy social life with great friends. However, in a blink of an eye, I came close to losing it all - to something I had never heard of. " In April 2017, Dave Hughes and his family (his wife and two young children) traveled from their home of Portsmouth, England for New York City - the trip of a life time. Half way through their holiday, Dave woke up in his hotel room doubled over in pain. Rushed to the hospital, he was diagnosed with a severe acute pancreatitis attack. 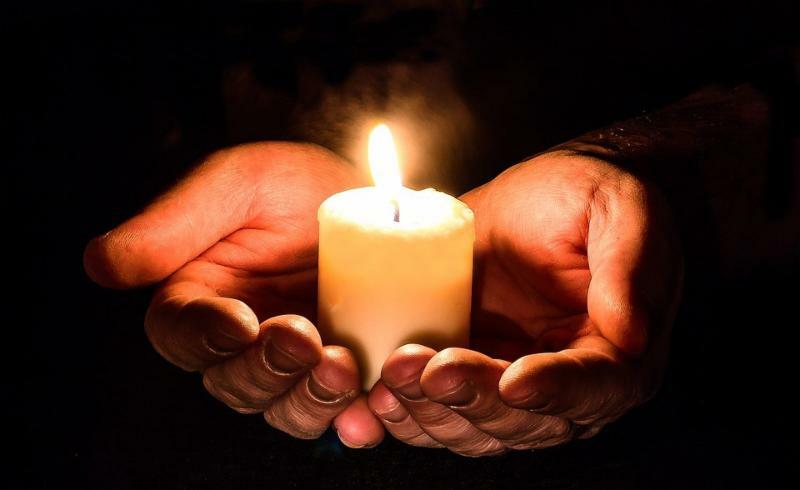 After a few days his family had to travel back to England, while he was in a different country dealing with the mental and physical battles of pancreatitis alone. Pancreatitis can happen to anyone at anytime, anywhere. To read more on Dave's story, please click here. 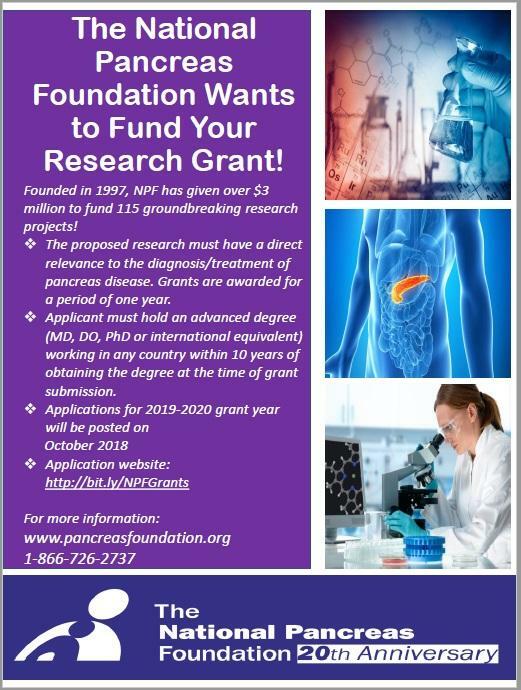 The NPF is part of the World Pancreatic Cancer Coalition, a group made up of 70 organizations in over 30 countries. 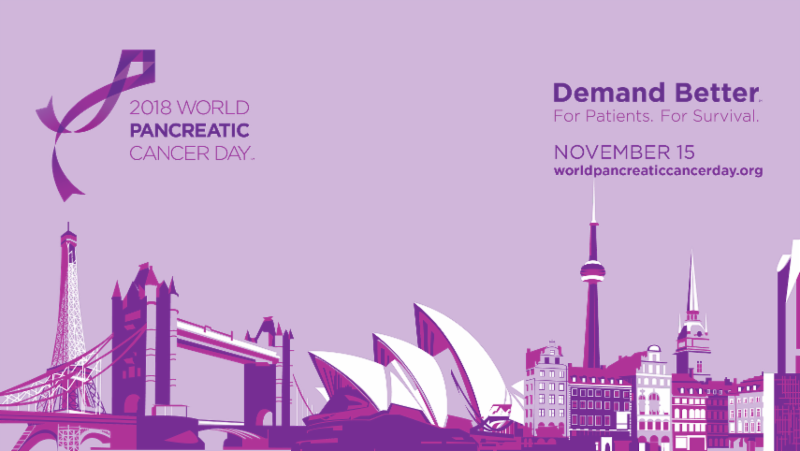 Together we raise global pancreatic cancer awareness and work collaboratively to support each other’s efforts. Please join us on Wold Pancreatic Cancer Day - November 15th and help bring attention to attention to pancreatic cancer and highlighting the need for greater awareness, funding, and research. 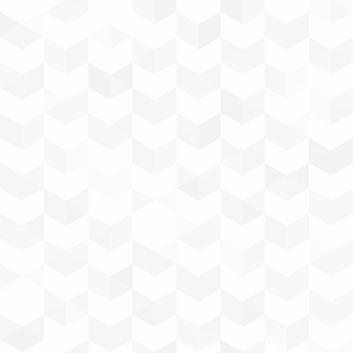 For more information, please CLICK HERE . 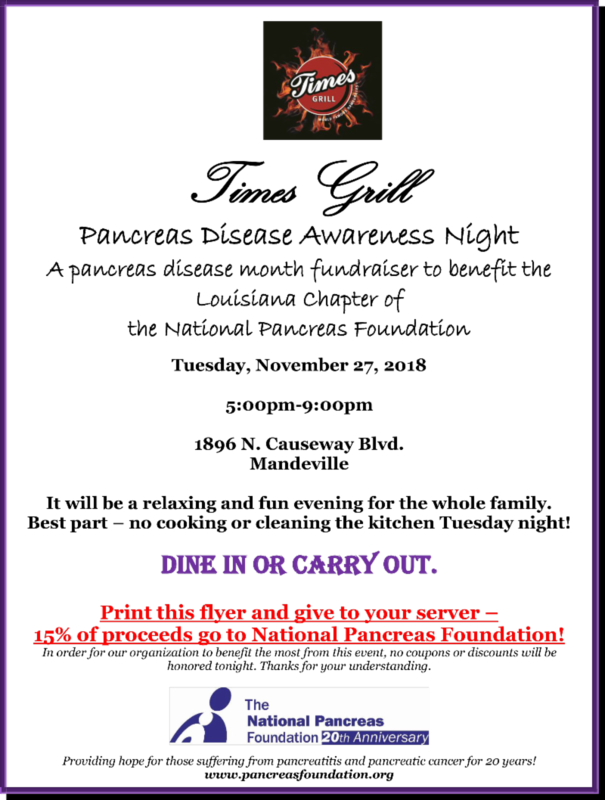 A pancreas disease awareness month fundraiser to benefit the Louisiana Chapter of the National Pancreas Foundation. It will be a relaxing and fun evening for the whole family. Best part – no cooking or cleaning the kitchen Tuesday night! The NPF works with companies and various organizations that align with the NPF's Mission. 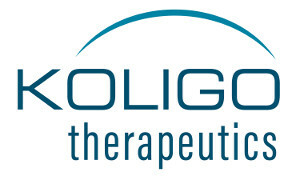 Koligo Therapeutics is one of our partners. Koligo's first commercial product is Kyslecel, used in a procedure commonly known as Total Pancreatectomy with Islet-Autotransplantation (TP-IAT). Kyslecel is made from a patient’s own (autologous) pancreatic islets, the cells that make insulin to regulate blood sugar. It is reinfused into a patient’s liver after total pancreatectomy (complete removal of the pancreas) Kyslecel is intended to preserve insulin secretory capacity in pancreatitis patients after TP-IAT. TP-IAT can be a transformative procedure for patients suffering from chronic or acute recurrent pancreatitis, a debilitating and painful condition with few effective treatment options. In order to expand the number of patients who can receive Kyslecel, Koligo is currently developing Kyslecel v2.0, an improved formulation of Kyslecel to extend the product shelf life. Kyslecel V2.0 is expected to launch in 2019 and will allow Koligo to ship Kyslecel over longer distances, including international market (subject to meeting foreign regulatory requirements). To read more about Koligo, please go here . O n November 8th, 2018, from 11:00am – 12:00pm EDT, there will be a new free interactive video program on pancreatic cancer. The live session will include interactive polling, real-time Q&A, and an expert panel featuring specialists from Memorial Sloan Kettering Cancer Center, John Hopkins Hospital, and the National Pancreas Foundation. The panel will speak about: the biology, diagnosis, and stages of pancreatic cancer, different treatment options available for advanced pancreatic cancer, the risks of and strategies to treat and manage relapse, and techniques and tips to minimize side e ffects and maximize quality of life. Registration is free and you can submit your questions for the panel here . If you are not able to log-in, through registration, you will be emailed the webinar to watch at your convenience. 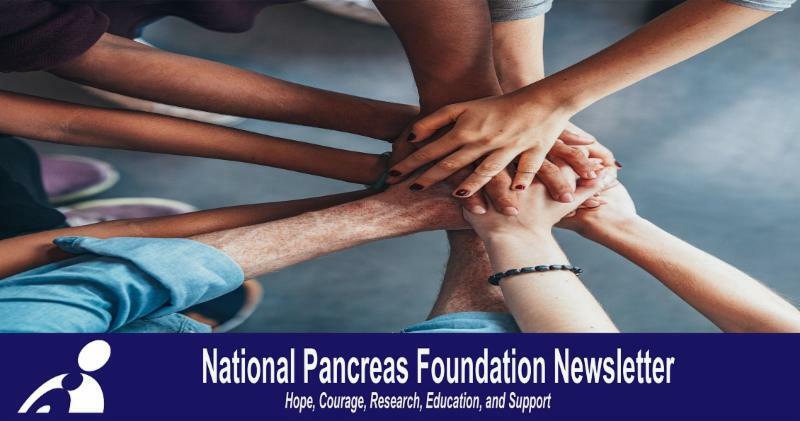 The National Pancreas Foundation provides hope for those suffering from pancreatitis and pancreatic cancer through funding cutting edge research , advocating for new and better therapies , and providing support and and education for patients, caregivers, and health care professionals . We are the only foundation in the world for all pancreas disease. We want to continue to provide to our patients/caregivers and we are able to do this with the generous donations of our supporters. Please remember the National Pancreas during this holiday season by donating HERE .